6. Cancellation by you: Should you or any member of your party need to cancel your booking once it has been confirmed, the party leader must immediately contact the provider of your ticket. As soon as you cancel, your unique confirmation email voucher will become void and non-redeemable. We regret it is not possible to make refunds in respect of cancelled bookings. 19. Combi Ticket Terms and Conditions: When purchasing a combi ticket, the Dungeons element of the ticket is for a specific date and time slot. The London Eye, SEA LIFE London Aquarium and Madame Tussauds attractions are not booked for specific dates or time slots. You must visit these attractions after your visit to the London Dungeon or up to one calendar month after your Dungeons visit. Combi tickets cannot be purchased without a Dungeons visit. 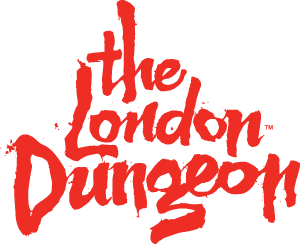 Combi tickets are for priority entrance to the London Dungeon, SEA LIFE London Aquarium and Madame Tussauds. The London Eye is general admission. Combi tickets purchased from another attraction such as London Eye, SEA LIFE London Aquarium or MadameTussauds do not include priority entry and you will be required to join the general admission queue line. Upgrades are not available.